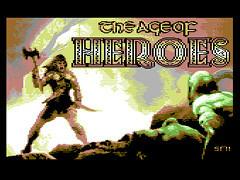 The Age of Heroes is a new arcade game for the Commodore C64. The game is developed by Achim Volkers (code), Trevor Storey (graphics), Saul Cross (music) and Jason Mackenzie (packaging design). The game is available as a download, diskette and cassette.